Bio Notes: Andrew Balfour was born in 1863, the son of Thomas Balfour, baker, Torryburn, Fife and Mary Campbell, daughter of John Campbell, Dunoon, from whose family he was to acquire useful connections. He was educated at the Free Church Normal College and in October 1877 was articled to James Boucher, who was then working in partnership with Henry Higgins as Boucher & Higgins, with whom Balfour remained for five years. There he obtained a free studentship to Glasgow School of Art and studied at Anderson's College, winning various prizes including the National Bronze Medal and spent several months studying metalwork design. At the end of his apprenticeship, c.1882 he spent several months in metalwork design and construction, then entered the office of John Burnet and Son and subsequently that of Campbell Douglas & Sellars. In both these offices he described himself as being engaged on 'well known competitions'. In 1886 he left Campbell Douglas & Sellars and became chief draughtsman in the office of William Landless, before commencing practice as the partner of Henry (Harry) Bell Wesley Steele, eleven years his senior and the son of James Steele plasterer, and Ann Donaldson. At some point he spent a brief period in the architectural design and structural engineering department of Walter Macfarlane's Saracen Foundry. The practice of Steel & Balfour made its name by winning the competition for Largs Parish Church in 1889, and some time thereafter Balfour travelled in Italy sketching in Rome, Florence, Venice and Milan, and, later, southern France. Very little is known of Steele who died at Hawthorne Villa, Hunters Quay (usual residence The Quinta, Bridge of Weir): Alexander Wright and other Glasgow architects regarded Balfour as the designer in the firm and the sub-Burnetian character of the work of the practice appears to bear that out. Balfour was admitted FRIBA on 11 June 1906, his proposers being John James Burnet, John Keppie, and C J MacLean. 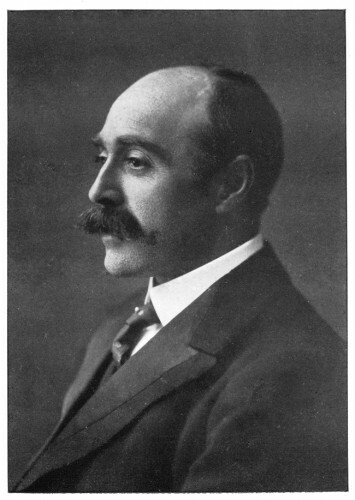 In 1919 Balfour took into partnership William Fraser Tytler Stewart, who had a family connection with the Bank of Scotland. Stewart was born on 13 November 1885 and apprenticed to J M Crawford of Glasgow and Dumbarton, 1900-05 studying at the Royal Technical College and Glasgow School of Art. Thereafter he spent time in various unspecified offices until 1911 when he emigrated to Vancouver to become a partner in the firm of Doctor, Stewart & Davie. He remained there until 1915 when war service interrupted his career. After the war he returned to Scotland and formed the partnership with Balfour. In the 1920s and 1930s Balfour & Stewart did a considerable amount of work for the Bank of Scotland, Stewart's Canadian experience being reflected in the design of the Bank of Scotland at 93 St Vincent Street. Stewart died on 23 January 1940, Balfour on 2 November 1948 (Iain Paterson says 2 November 1943) at Restrevor, Bridge of Weir. He was survived by his wife, Margaret Hood Frew. 1889 Largs Parish Church and Memorial Halls Largs Ayrshire Scotland Won competition and secured job. Also designed organ case.